What’s funny about this is that when Inter Arma first announced they were entering the studio to record their yet-untitled third album, they accompanied that announcement with a tour. Here we are a few months later, the record’s done — still doesn’t have a title to report, but it’s done — and they’re announce its completion with yet another tour. That’s pretty much the methodology of the Richmond, Virginia, five-piece. Or at least that and genre-spanning, mind-engulfing heavy and progressive expansion. It’s good to have specialties. 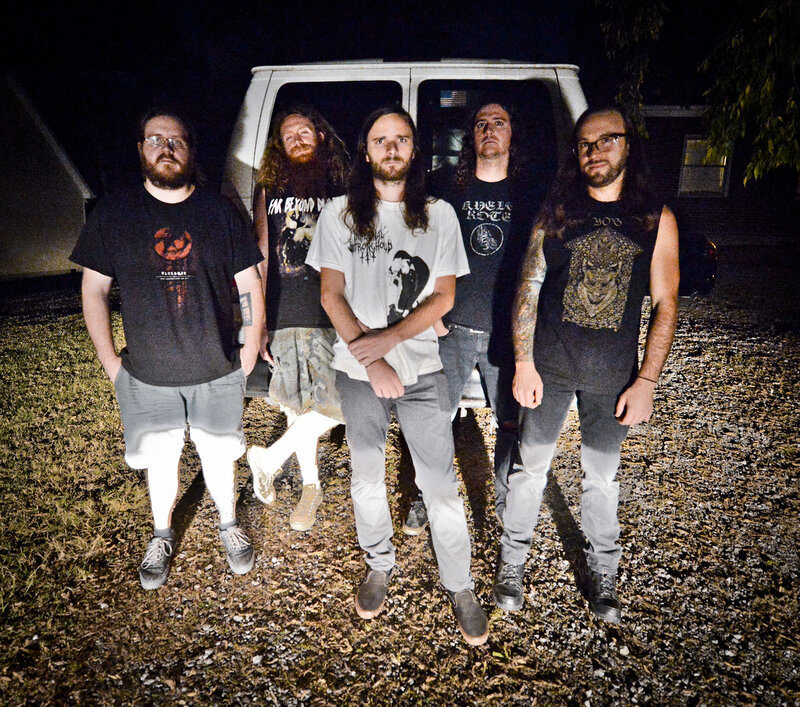 Inter Arma‘s next LP was recorded by Mikey Allred and will be released on Relapse Records in the summer. They hit the road in April to herald its coming. After having completed a number of US tours in 2015 with the likes of pessimistic Nashville sludge crew Yautja and sludge legends Kylesa, INTER ARMA have announced new touring plans for Spring 2016. The band will be embarking on a series of headlining US shows this April that will see the band storming the US South, Midwest, and Northeast. A full list of dates is available below. Last fall, Richmond, VA’s INTER ARMA announced their plans for their highly-anticipated third full-length record. The as-yet-to-be-titled album follow-up to 2013’s Sky Burial was again be recorded and produced at Dark Art Audio with Mikey Allred (Yautja, Hivelords), where the band has produced its last two releases. The record is due out summer 2016 via Relapse. INTER ARMA’s two latest albums, 2014’s The Cavern and 2013’s Sky Burial, can be streamed via INTER ARMA’s official Bandcamp HERE. This entry was posted	on Monday, January 18th, 2016 at 2:13 pm	and is filed under Whathaveyou. You can follow any responses to this entry through the RSS 2.0 feed. You can leave a response, or trackback from your own site.